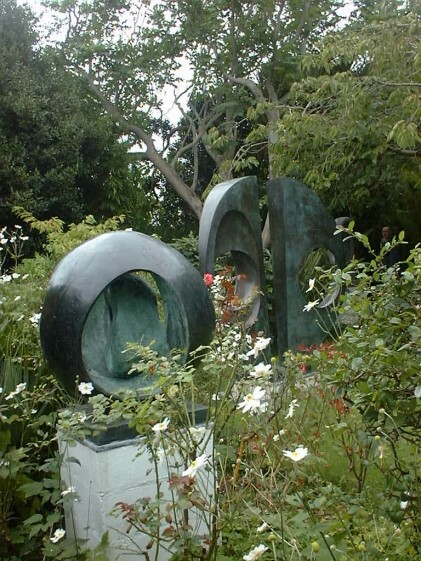 This entry was posted on January 9, 2011 at 2:00 pm and is filed under ART, ART HISTORY, ARTISTS BIRTHDAYS with tags barbara hepworth, henry moore, SCULPTURE. You can follow any responses to this entry through the RSS 2.0 feed. You can leave a response, or trackback from your own site. You are brave to post during your delirium! When I’ve tried to make art whilst (a word I borrowed from you!) under the weather, the results have been interesting, but not always satisfactory. 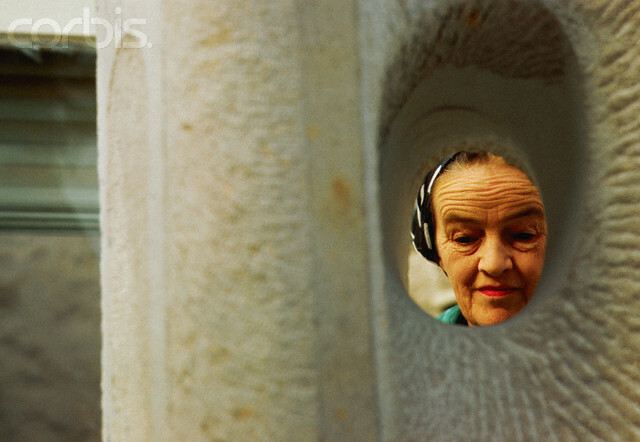 Thanks for reminding me of Barbara Hepworth’s sculptures and her contributions to Modernism. Get well soon. I am especially drawn to the sculptures in the garden shot, above. I noticed how modern her works look and have always thought that sculptures like this look so cold in a museum setting. But! Wow! How gorgeous surrounded by nature! Thank-you for opening my eyes! we even took a pic of her studio and her little coat and overall was still hung up! She was a tiny little woman full of talent and feeling, I believe she died in a fire or after being in a fire. Sad. Oh I have had more than enough of Henry Moore over the years—everywhere at the Nelson-Atkins in Kansas City. There are moments when his work engages me–but more often it leaves me ‘cold’ and indifferent. Most effective outside when the sunlight hits certain curves just right. Otherwise it prompts me to ask “So why didn’t you take this further?” Maybe that’s just the result of my own affinty for details. Piercing—hmm–never thought of it in relation to sculptures before–usually I associate it with noses, navels and ……. Hot toddies for Lynda, asap! Keep ’em coming until she dreams herself healthy and hale! Thee certainly look interesting in these pictures. Fascinating post, Lynda. Can’t say blocks of stones with holes in really do it for me but…think I prefer beautiful sculptures from Ancient Greece and Rome. I will have a go at a poem today or tomorrow. Hope you are feeling better! Would you like to read mine of Henry Moore? 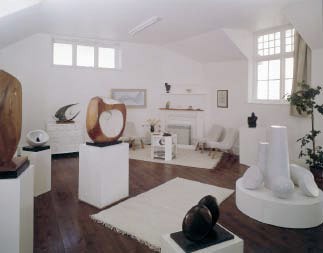 My mother loved Barbara Hepworth’s sculpture, so I’m familiar with her work. Haven’t seen it in ages, though, so thanks for the reminder!